UK singer songwriter Callaghan returns this summer with a new album and a performance at Barclaycard British Summer Time festival on Sunday 15th July. New single Summer Days opens with happy laughter and chattering and the beat kicks in, accompanied with chirpy strings that end an upbeat and chirpy feel to the track. 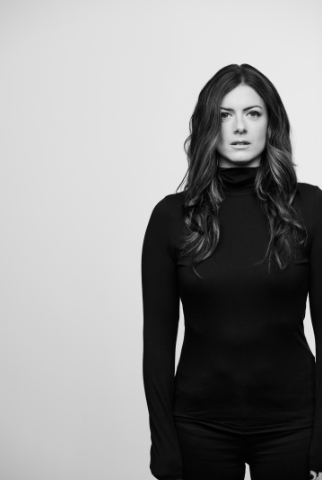 Callaghan’s vocals are soft with a slightly gravelly edge as she sets the summery tone with lyrics such as “worries fading like the breeze” and “streets are full of everyone, underneath the summer sun.” Keys and funky guitars add to the summery vibe and the track ends leaving the listener basking in its warm glow. I spoke to Callaghan ahead of her performance at BST to find out a little about the new single, her forthcoming album, performance at BST and highlights of her career so far. Callaghan’s new single Summer Days is out now and taken from her new album Callaghan, out August 31st. She plays at Barclaycard British Summer Time on Sunday 15th July in Hyde Park. Have a listen to Summer Days below and find out more about Callaghan here.